Varanasi, also called Benares, is the holiest place for Hindu and Jain believers around the world. It’s considered the center of earth in Hindu mythology, and it’s one of the oldest continuously inhabited places in the world. Colorful and chaotic, Varanasi stands on the river Ganges. 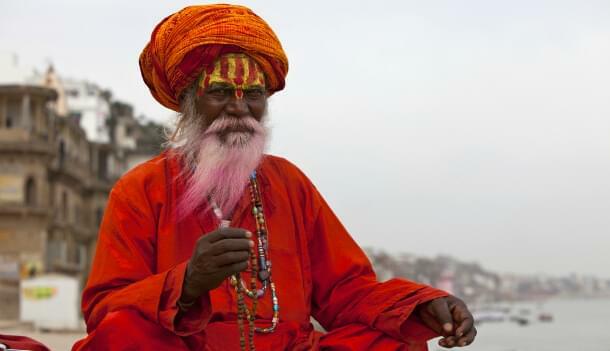 Hindu pilgrims come to this mystical place to wash away their sins in the sacred river. The Ganges is the focal point for many religious ceremonies. The western bank of the river has 84 ghats, or stretches of steps that lead down to the water. It’s believed that those who die in Varanasi can reach nirvana, which is why Hindu kings throughout history have built ghats and palaces along the river as places to meet their end. There are many temples honoring Hindu gods in the city. The most famous is the Vishwanath Temple, dedicated to Shiva, god of the universe. Show respect and interest in Hindu traditions and you might be able to enter. It doesn’t hurt to come with a local friend and have an offering in hand, which can be bought outside of the temple. 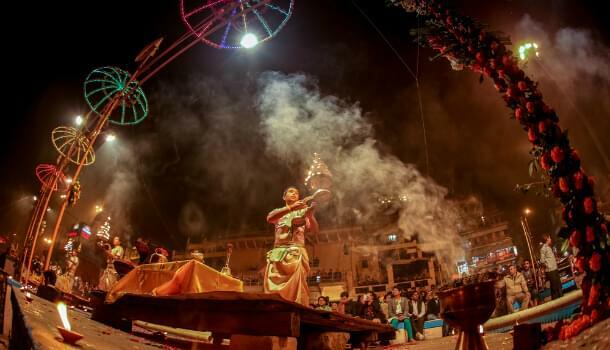 The largest festivals in Varanasi take place in October, November and February, but there are many other celebrations throughout the year. Unfortunately, there aren’t any oneworld alliance or SkyTeam members that fly to Varanasi. That means you can’t get there with AAdvantage miles or SkyMiles. However, you can get an award ticket to Varanasi with United MileagePlus miles and the Star Alliance. Jet Airways is a United partner, and it flies to Varanasi via Delhi. At the first glance, the shortage of airlines flying to Varanasi suggests that it could be difficult to find an award seat. Fortunately, that’s not the case. There’s plenty of award availability, even in business and first class. MileagePlus allows you to mix partner airlines when booking an itinerary, so you could fly on a variety of airlines to Europe, such as Lufthansa, Austrian Airlines and Turkish Airlines, and then grab an Air India flight to Varanasi via Delhi. Another option would be to fly to Tokyo on ANA before heading to India. If you don’t have enough MileagePlus miles, you could fly to Delhi on any oneworld alliance or SkyMiles member, and then take the short and cheap flight to Varanasi from there.